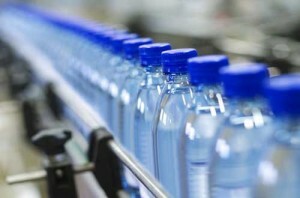 The National Test House (NTH), based on whose tests the Drugs Technical Advisory Board (DTAB) had taken a decision to phase out polyethylene terephthalate (PET) bottles for pharmaceutical packaging, has clarified the tests were conducted on samples provided to them by clients for their own use. Responding to an RTI application filed by the PET Container Manufacturers’ Association (PCMA), the Kolkata-based NTH said it could not be held responsible for errors by government departments, ministries or organisations. The controversy had threatened the Rs 4,000 crore PET pharmaceutical packaging industry in India. The major PET producers are Reliance Industries, Dhunseri Petrochem and JBF Industries. A case related to this is set to come up before the National Green Tribunal on Tuesday. The development comes at a time when a committee led by MK Bhan, former secretary, department of biotechnology, ministry of science and technology, has highlighted that “there is no conclusive, reproducible evidence to suggest that the use of PET, or additives used with it such as antimony, for pharmaceutical packaging may leach substances beyond limits that pose a threat to human health”. Despite these findings by the panel, the DTAB, in its 71st meeting in May this year, recommended the government prohibit the use of PET in liquid oral formulations for primary packaging of drug formulations for paediatric use, geriatric use, and for use by pregnant women and women in the reproductive age group. The basis of this recommendation were tests conducted by the NTH. Earlier, another high-level committee of the DTAB had asked the NTH to conduct the tests. According to minutes of the DTAB meeting, antimony, chromium, lead and diethylhexyl phthalate were present at room temperature in all the five samples that were tested. “The tests were not conducted properly, as the samples were submitted to the NTH. Moreover, the limit of detection and limit of quantification were not mentioned. These substances were far below the permissible limits in all the tests that were conducted in other renowned labs like Sipra, SGS, the Shriram Institute for Industrial Research and Intertek. Taking a call based on the NTH test is not acceptable,” said Udit Seth, treasurer, PCMA. The NTH said it was not asked to provide the value for limit detection and no limit of quantification was specified. Responding to the RTI application, the NTH said it “tested and reported some samples as per the customer’s requirements. Further action by customers and consequences are not directed or dictated by the NTH”. The controversy erupted in 2013, when an Uttarakhand-based non-governmental organisation Him Jagriti approached the ministry of health seeking a ban on PET in pharmaceutical packaging. The ministry assigned DTAB, which looks into technical matters, to take a decision in this matter. Later, the All-India Institute of Hygiene and Public Health (AIIHPH) under the health ministry conducted a test at the NTH, which comes under the ministry of consumer affairs. The AIIHPH had five different pharmaceutical preparations packaged in PET bottles tested in which antimony, chromium, lead and diethylhexyl phthalate were present at room temperature. It was based on this report that the DTAB recommended phasing out of PET bottles for pharmaceutical packaging in November 2013. However, this move was put on hold following industry pressure. Him Jagriti then approached the National Green Tribunal for a blanket ban on the use of PET bottles. According to Him Jagriti, these substances may cause cancer, diabetes, endocrine damage, kidney damage, reproductive diseases and obesity. “Globally PET is widely used for packaging pharmaceutical products. Instead of a ban, there should be guidelines that medical packaging should be done with virgin PET and not recycled material,” said Ashish Lele, a scientist with the National Chemical Laboratory, Pune. The RTI application added that no empty PET bottles, for testing of migration, had been provided by any customer to the NTH. “These are standard practices by the industry association to delay legal matters and create confusion. Whatever the NTH has said, we have no dispute with it. They could have also procured the samples from outside,” said Ajay Jugran, president of Him Jagriti. Him Jagriti also said it had studies conducted in reputed government laboratories like the Indian Institute of Toxicology and Research, Lucknow, and the findings were similar to those of the AIIHPH.